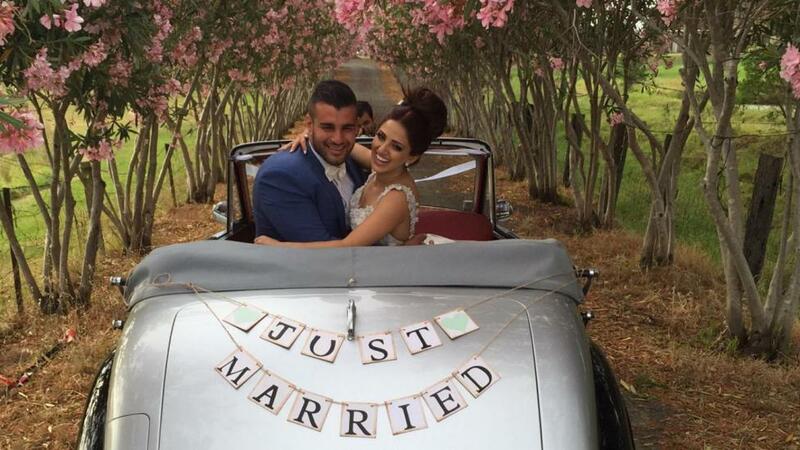 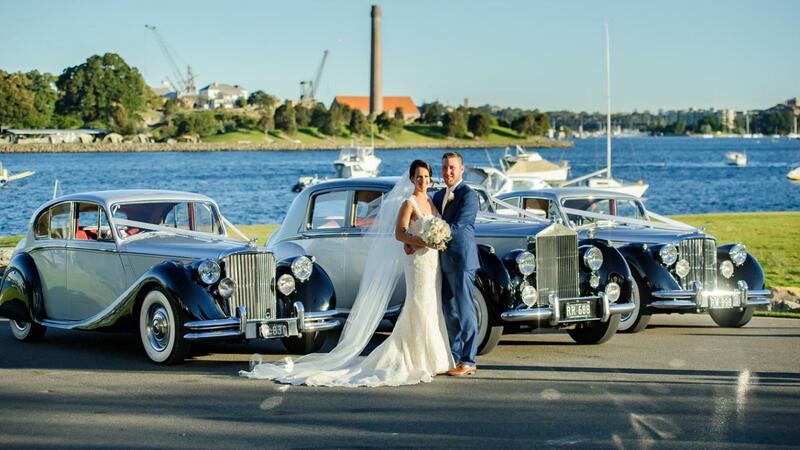 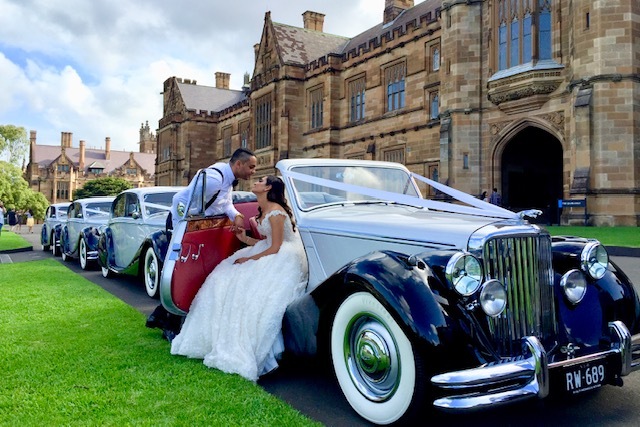 Jaguar Wedding Cars for hire in Sydney. 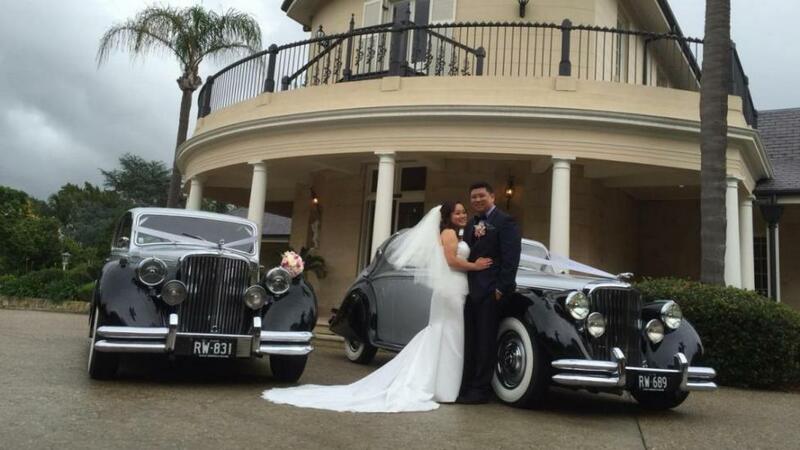 Welcome to our Jaguar Wedding car page. 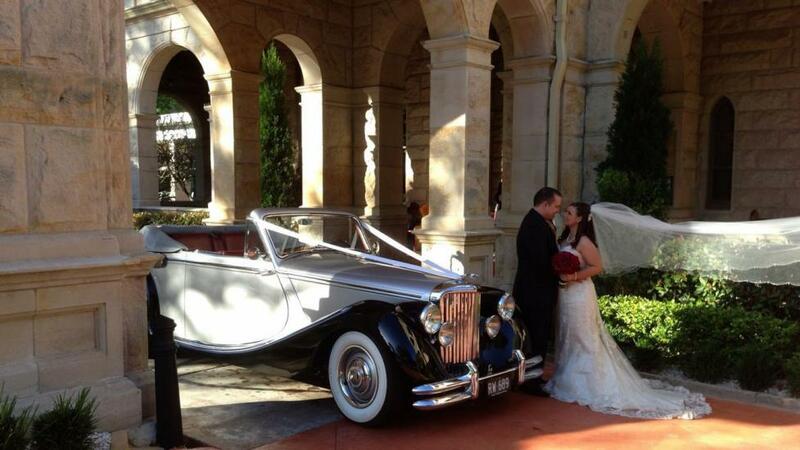 This page brings you photos of our main lead Bridal car, the Mark 5 Jaguar Convertible and matching sedans. 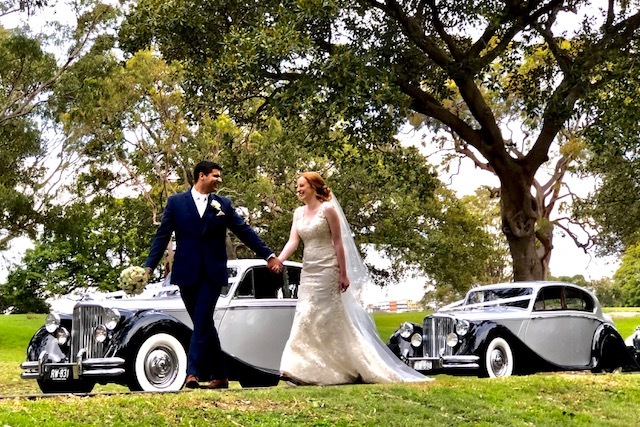 The Mark 5 Jaguar Convertible in our fleet has been lovingly restored to concourse condition and is finished with a silver body over black guards; the interior being upholstered in quality red leather, matching the sedans on our fleet. 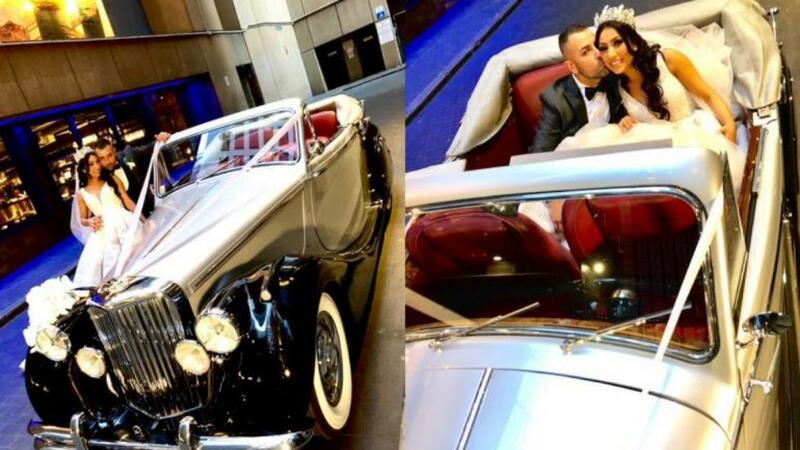 The car has been used for special events, school formals, film work and is very popular with today's modern bride and grooms. 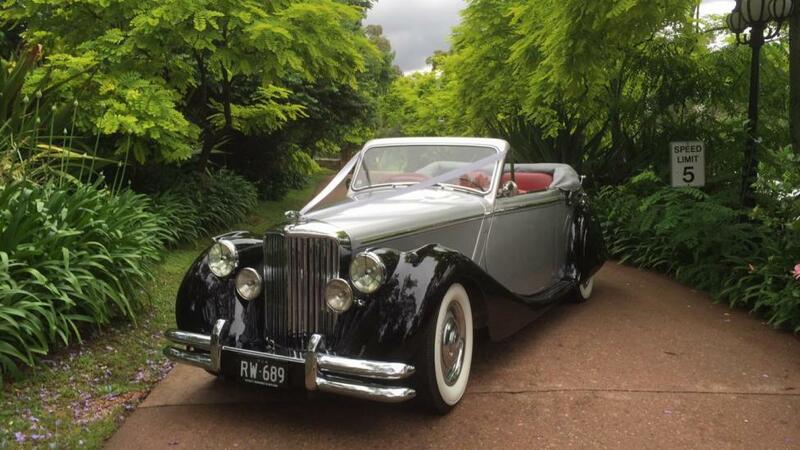 One of the great things about the Mk5 Jaguars is they match in well with Bentleys and Rolls Royce's of the era because of the styling of the upright chrome grill but with the standout leaping Jaguar radiator cap mascot. 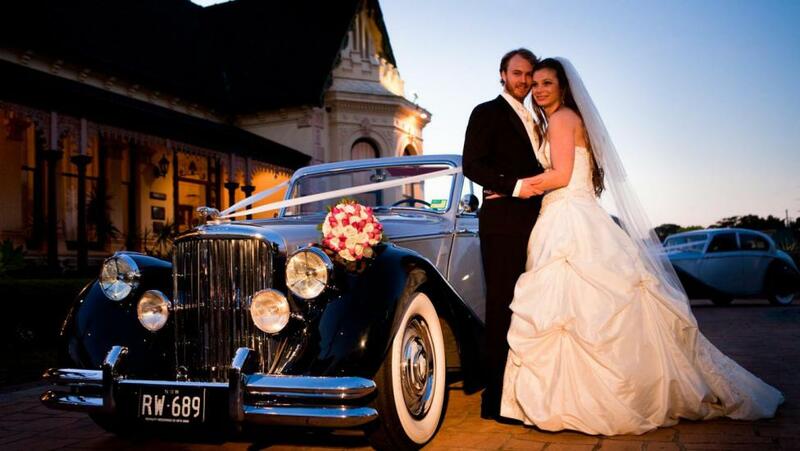 Mk5 Jaguars are owned by Jaguar enthusiasts right across the country and around the world, found in many car clubs and are popular for driving in club events. 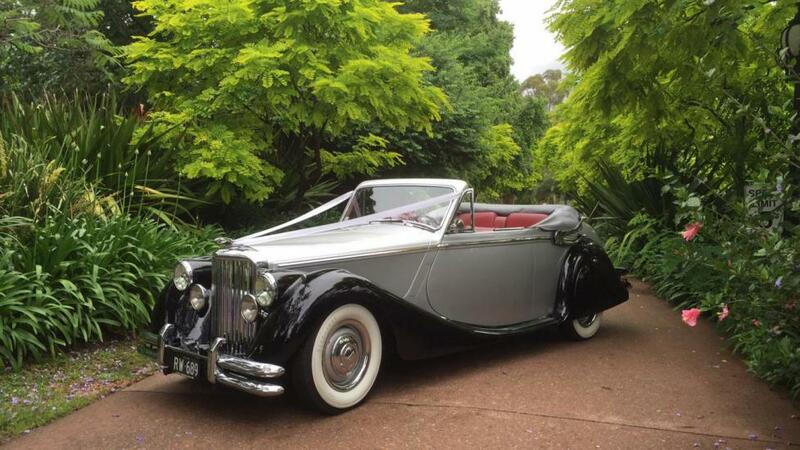 The Mk5 is often the topic of television shows and is regularly can be spotted in classic 50's period movies. 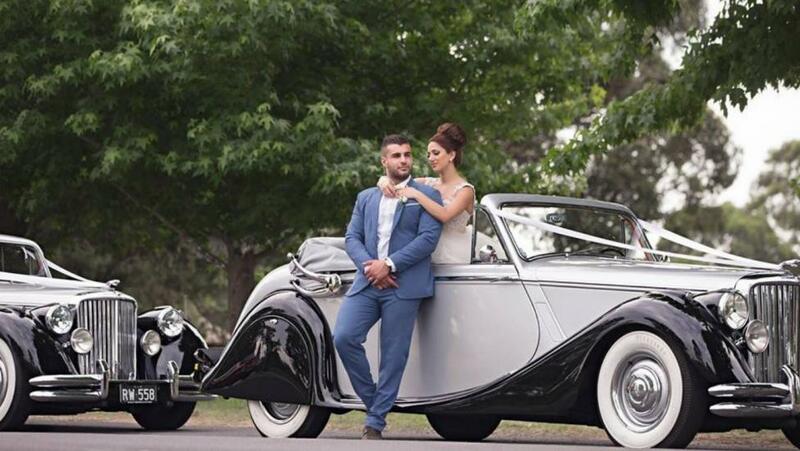 Love is always in the air . 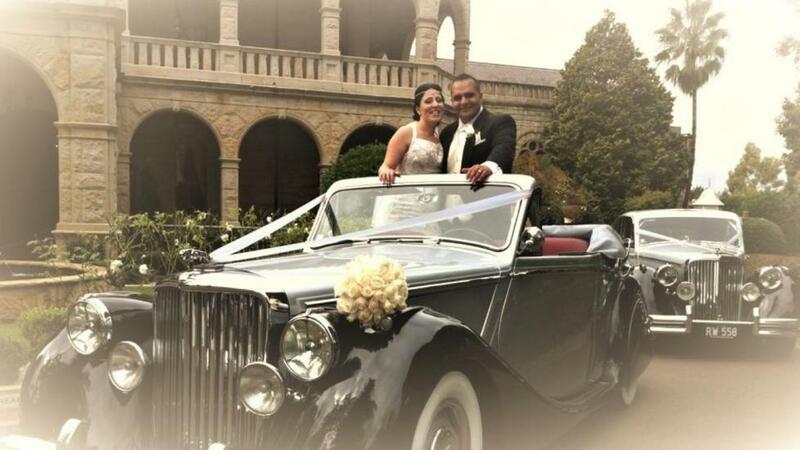 Absolute Class, the bride and groom make our Jaguars look great, or is it the other way around,lets call it even, lol! 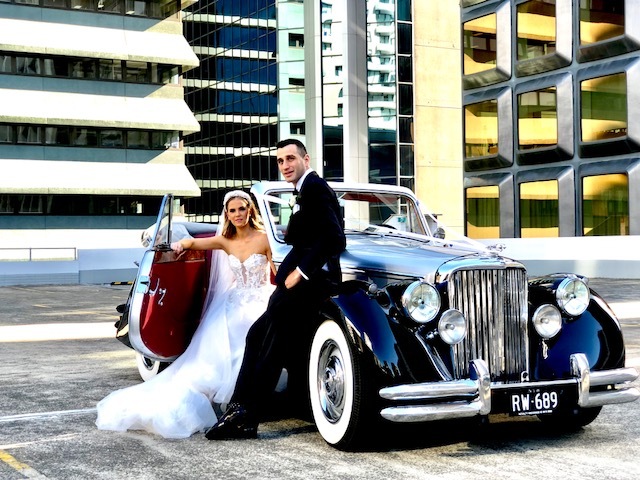 Perfect Bride and Groom, Perfect wedding cars, Photographers have a field day taking photos with our wedding cars. 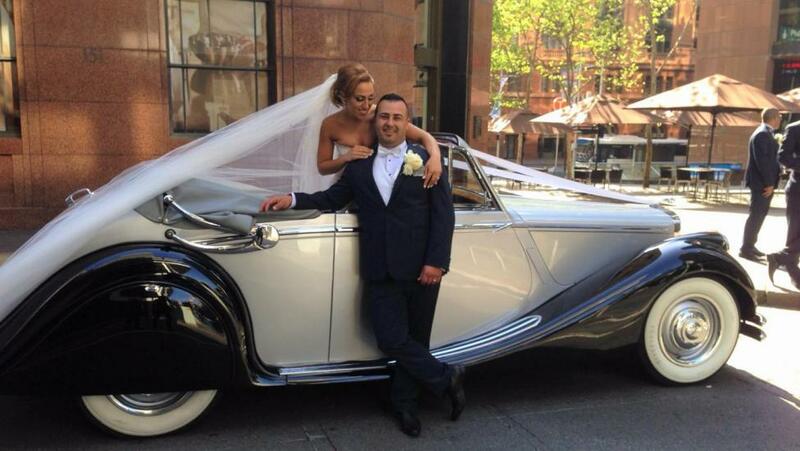 great shot in the heart of Sydney, this back street know as the bird cage, off Pitt St.